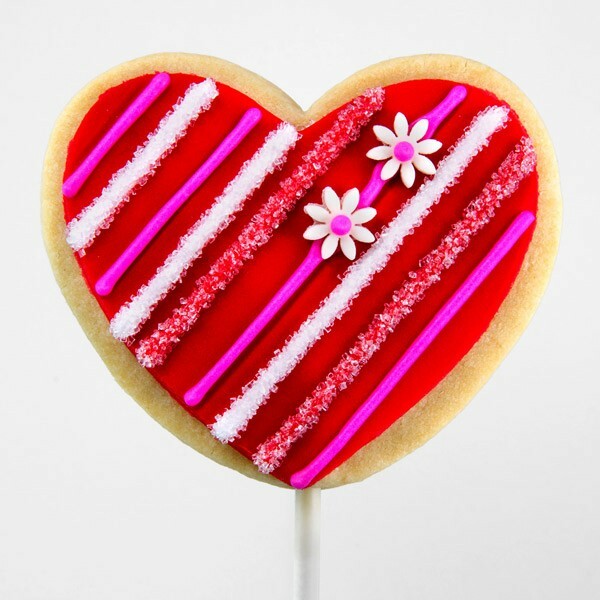 The Valentine loving heart shortbread on a stick decorated with our marshmallow fondant. Loving heart Valentine shortbread on a stick decorated with our delicious marshmallow fondant. Just as tasty as they look, these gourmet cookies will certainly bring magic, fun and wonder to your Valentine!